Mark Papadas is an author, speaker, coach, and founder of I AM 4 Kids, the innovative children’s empowerment program revolutionizing elementary education. After years of training and coaching adults, he’s delivering those same self-empowerment tools to children. Blessed to work in the self development field for over 20 years, working with and for such leaders as Brian Tracy, Zig Ziglar, and Anthony Robbins, Mark has been witness to countless success stories by those who realize their power and achieve their goals using proven tools and strategies. I AM… _______! How do you – or your children – finish that statement? It’s possibly the most important question a person can ask. The answer determines the quality and direction of your life. It guides every choice you make. It is the essence of who you are! It is your identity! Over 50% of school children finished their I AM… statement with a negative trait or characteristic before going through the I AM… Identity Building Process. The following are actual responses from second through fifth graders before going through I AM 4 Kids: “I AM… stupid.” I AM… ugly.” “I AM… fat.” “I AM… unlovable.” I AM 4 Kids teaches our kids the power of deciding who they are and how to BE that person starting NOW! This fun-filled program shows kids the power of words. Most people take words for granted, regardless of the language. Mark Papadas shows kids the impact that words have on our daily lives and their ability to achieve their dreams. After this presentation, kids will be begging for more vocabulary words. Language Arts just got fun again! Mark shows kids that there is no such thing as failure. It’s OK to try and NOT succeed… so long as they learn from the experience and persevere. Using examples of familiar public figures and characters, Mark shows kids the importance of having goals, following your dreams, and NEVER GIVING UP! Based on his award winning book, “10 Secrets to Empower Kids & Awaken the Child in You”, this program is a must for every parent, teacher, coach, and … anyone who interacts with kids on a regular basis. Mark shares ten simple and easy to implement strategies that empower kids and enhances the relationships with them in a positive way. Mark is available to write articles for online or print publications. Mark has experience as both a host and guest on live radio and TV. 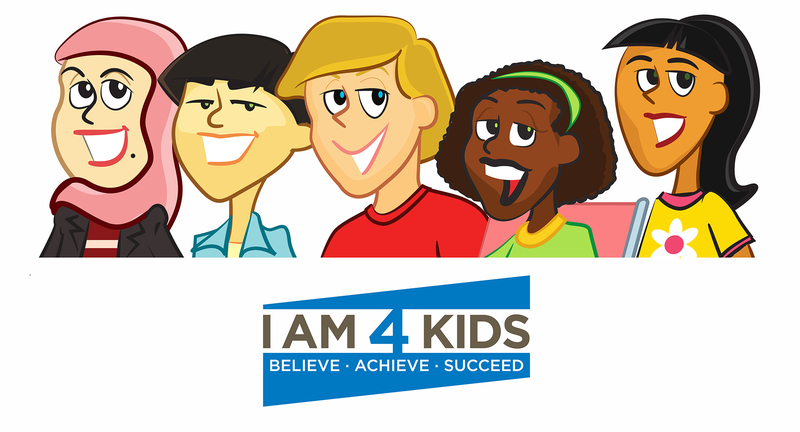 I AM 4 Kids is an interactive program taught in schools. It teaches children in second through fifth grades how to create empowering identities for themselves. An empowering identity helps children to make better decisions for themselves when confronted with the tough choices today’s kids face on a daily basis. In short, it teaches them how to be their own role model! I AM 4 Kids is fun and engaging while integrating with core curriculum subjects such as Language Arts, Social Studies, Music and Art. I AM 4 Kids is based on a program used successfully with adults for over 10 years. Its creator, Mark Papadas, has designed an effective kids program that can be taught anywhere with a DVD player or a high-speed internet connection.